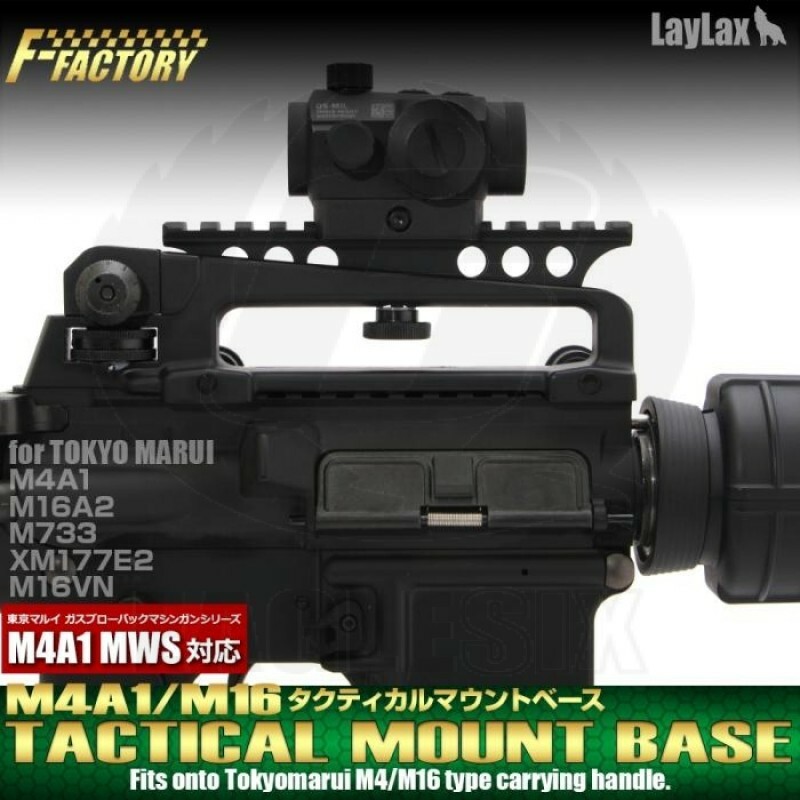 ● Fits onto Tokyomarui M4 / M16 type carrying handle. Mounting Mounted on the top of the M4 / M16 Series Carrying Handle Mount that mounts optical equipment etc. It is light weight and high strength produced by aluminum scraping out, and it is also possible to use open site in see-through type.